One of my favorite things about summer is the abundance of goods the season gives us. From the overflowing fruits and vegetable stands to the rolling flower fields and more. I try to take time to appreciate these simple pleasures when possible and last month I had the perfect day doing just that. 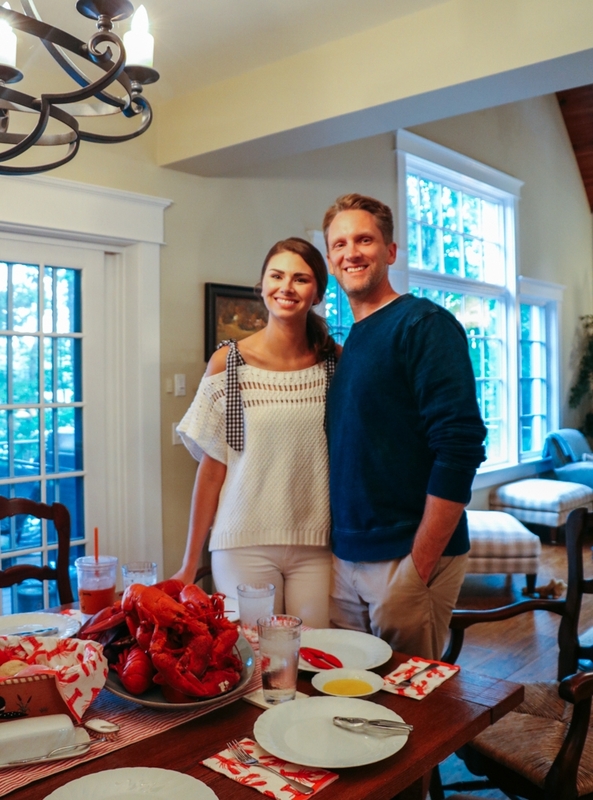 Every August we head to New England for a week of fun and relaxation with Greg's family at their lake home in New Hampshire. It's always a wonderful time! 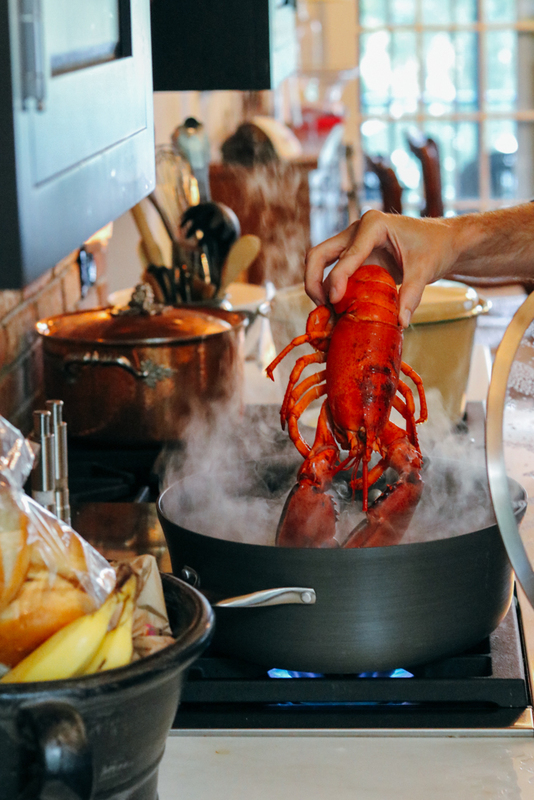 One of our traditions during this week is for each couple to take a night making dinner - our meal always being a lobster feast! So, when our day to cook came around, I knew exactly where I wanted to head to get the items that would make the night special. 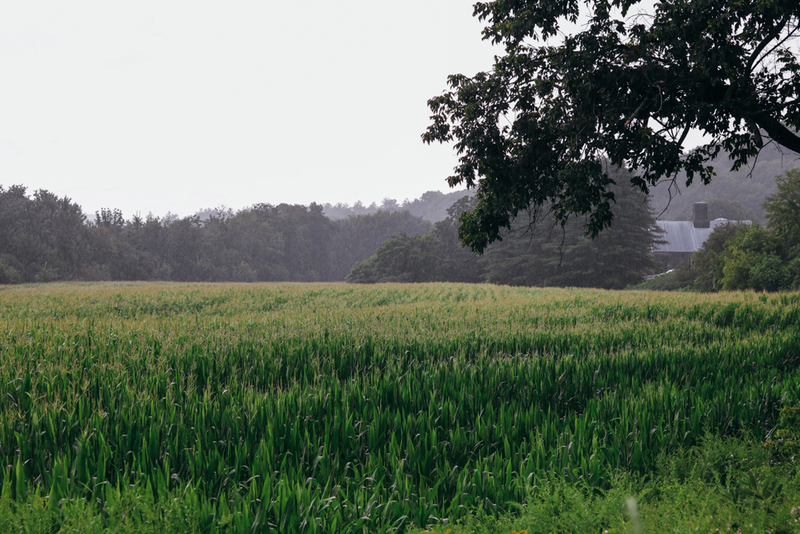 Greg and I took a short drive to the nearby town of Plainfield to visit Edgewater Farm, a family farm located along the the Connecticut River, which opens its door seasonally to customers in search of the freshest produce. 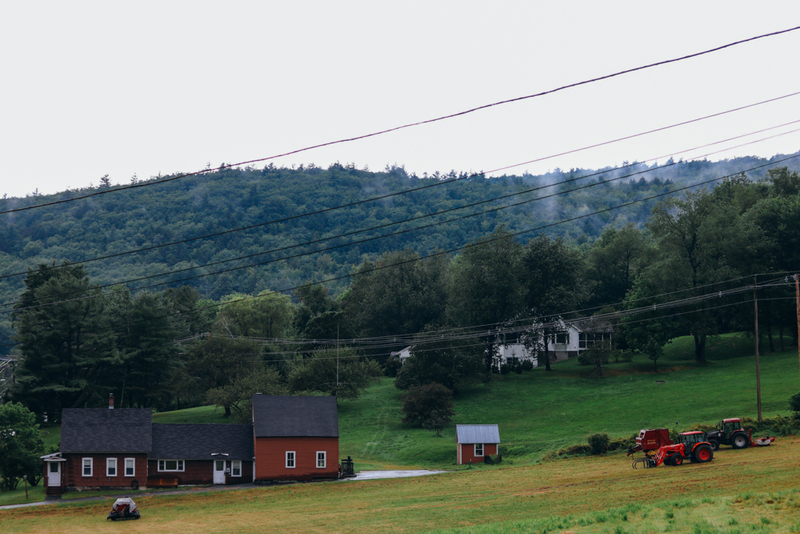 The ride alone is stunning, with lush fields and rolling hills lining both sides of the two-lane road that leads to the property, but that's only the beginning. 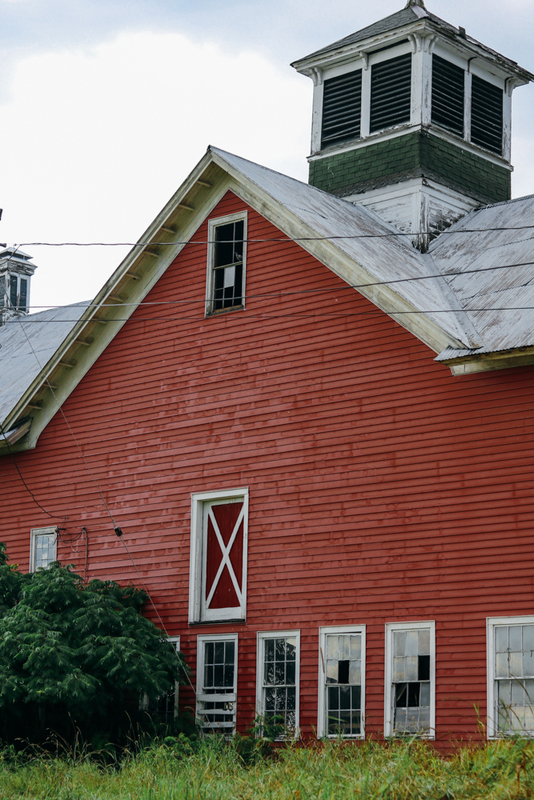 Once you step inside the farmstand you feel as though all is right in the world. It's picture-perfect! In the main room you'll find table after table - each charmingly arranged - of ripe fruits and vegetables with local jams, maple syrup and beautiful bouquets lining the shelves. Delicious ready-to-eat salads, soups and cookies are also sold. This delightful room opens up to a greenhouse full of annuals and perennials, herbs and large hanging baskets. With so many options to choose from, my basket filled up quickly - twice!! I had hoped to walk the fields out back to pick flower arrangements for the dinner table, but unfortunately it was raining during our visit. Something about the rain made the setting extra special though! With our grocery list checked off, cookies bought for the car ride home and some of the largest sunflowers I've ever seen in-hand, we headed back to the house, but not before picking up 10 lbs. of lobster on the way! 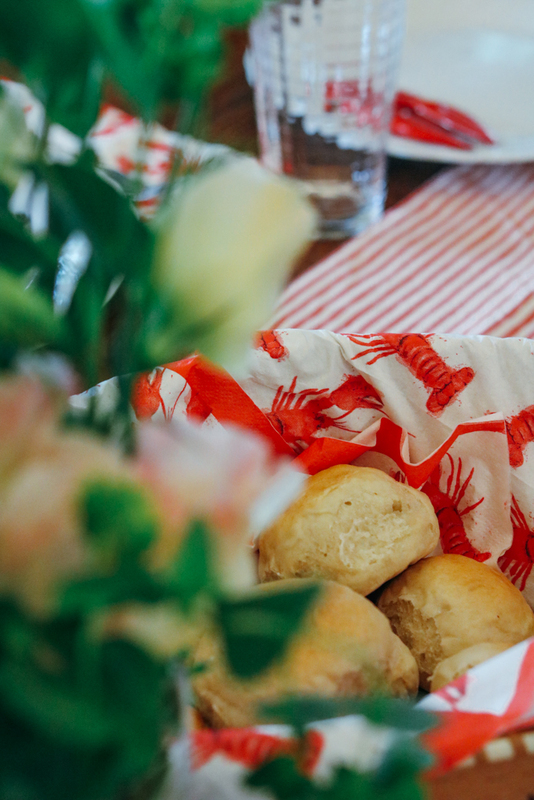 With our lake setting and quintessential New England meal, I had planned to set a beautiful table outside and picked up this and these at Pottery Barn as the base to set the mood. Unfortunately, the weather didn't cooperate as I hoped it would, so we shifted plans and had dinner inside. Though the table wasn't how I envisioned it, the food and quality time with family was perfect and that's what matters! Plus, now I have some great pieces for entertaining next summer. With fall quickly approaching, summer tabletop accessories are currently at great prices, so now is the time to stock up. Shop some of my favorites below!